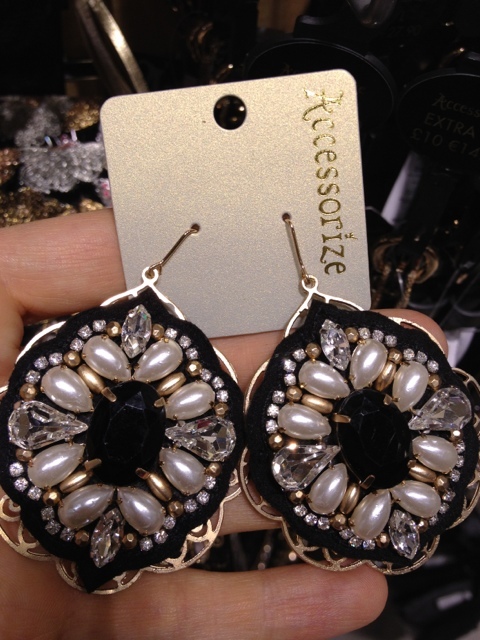 In I went to Accessorize again and, I must say, I love the opulent accessories they are doing at the moment. 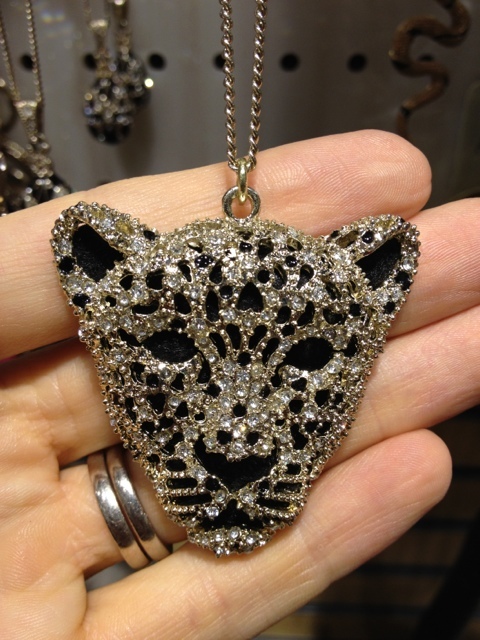 I saw a leopard pendant I knew my girls would love, but passed it over in favour of these beautiful, but light (my earlobes rejoice) black sparkly and pearl danglies. Perfect for dinner out tomorrow night. 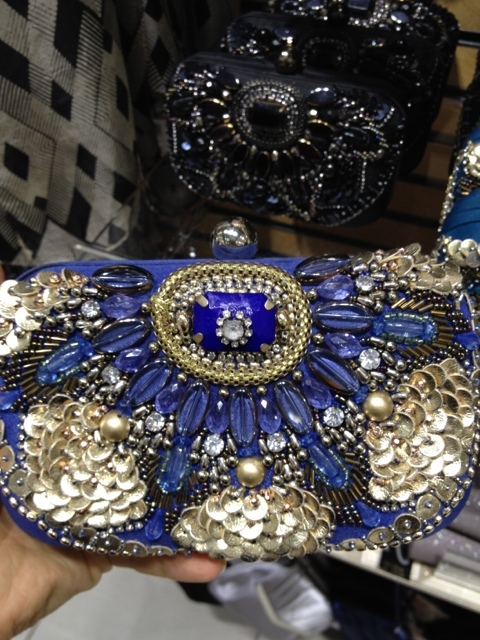 I also saw this stunning blue bag that made me stop in my tracks – it is utterly gorgeous. I just can’t think what to wear with it?? 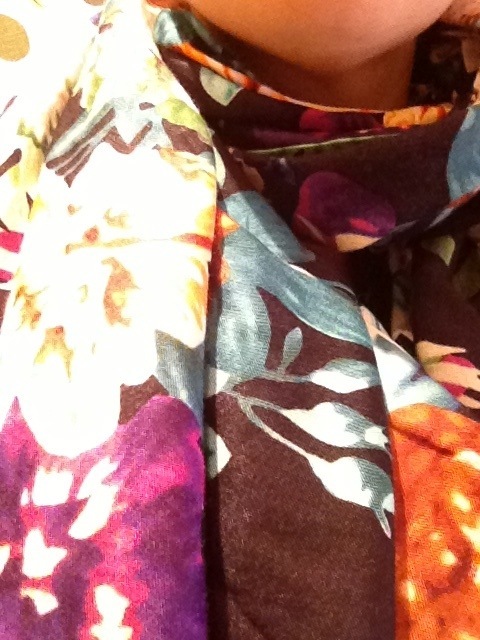 I will ponder as its so lovely. 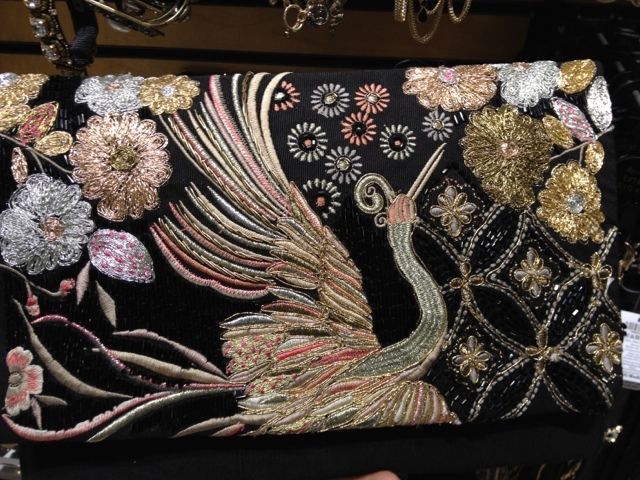 The embroidered Chinoiserie clutch is lovely, too. 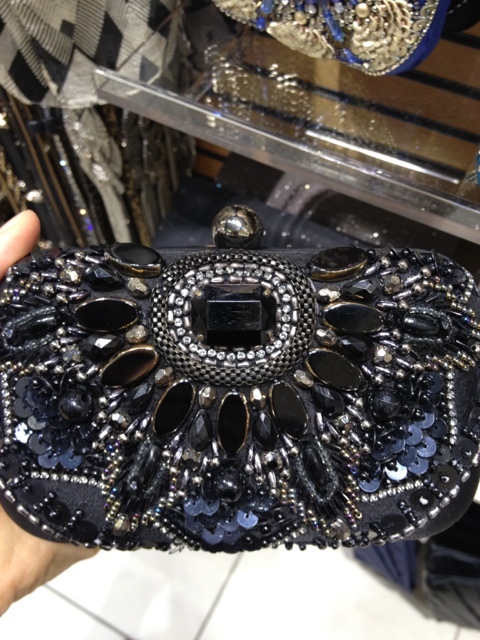 If dark luxe is a look you like, I do recommend Accessorize at the moment for some affordable pieces. And they should feel free to send some to me [grin]. Just in case anyone thought I was sponsored by them. Sadly, no. black version that might be good with my black and gold sequined jacket? 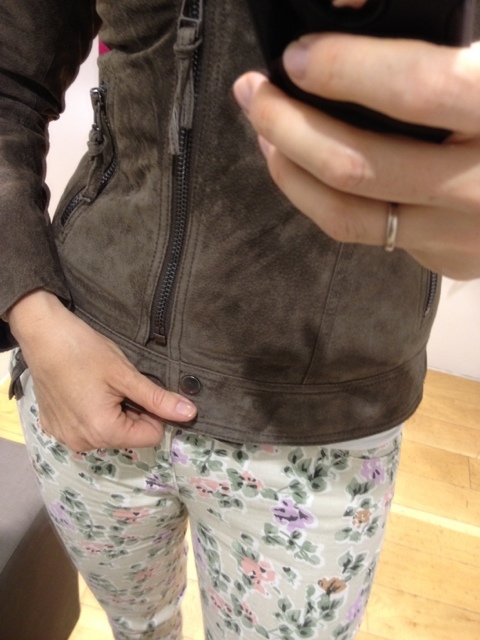 I also popped into Mango, where I tried on this fabulous suede biker. I love Mango, but this is a recent discovery – its taken me a while to get over the scarcity of their shops and the crowded layout. I don’t know why, but it feels easier to shop in Zara. Yet, I really like some of Mango’s stock. I digress. I tried the biker in a taupe, but the navy is also lush. However, the bordeaux looks so sensational online that thats the colour I will be ordering. Some of the colours have bright gold hardware – beware! I will also be ordering the paisley trousers. I shall report back. And if anyone has any ASOS discount codes (I would rather order through them as its a better experience), I would be so grateful if you could post them in the comments!! 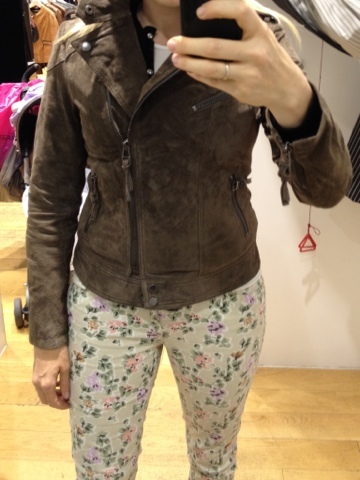 Speaking of Zara, I also tried on this divine coat. I felt instantly groomed and elegant. It is a truly beautiful piece. I am just not sure I should buy it given that I spend a good portion of my time on the floor at playgroup… What do you think? 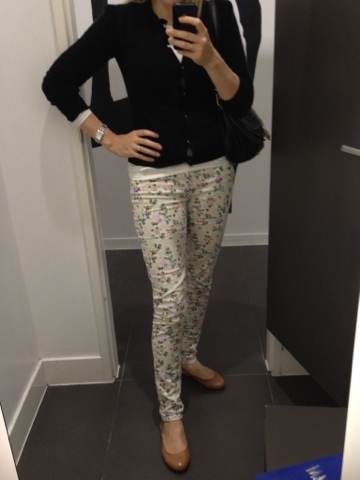 Last mention is to H&M where I tried on the skinny cords that Tracey just bought. I would have bought them, too, as I like the fit, but (unsurprisingly) the queues were so long I am about to order online instead. These powder beige ones are a smidge pink so I might buy a different colour instead, as I would really like a proper cream. 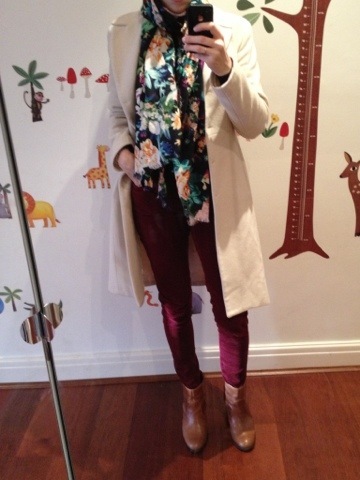 This entry was posted in Accessorise, Gap, H and M, Outfits, Primark, uinqlo, Westfield White City, Zara on September 13, 2012 by Belinda WornOut.